Visitors to Kendal Mountain Festival later this year will be offered the chance to step into a giant snowglobe. But rather than contending with a freezing cold storm, participants will be showered with a high-tech insulation material. The inflatable snowglobe is a collaboration between PrimaLoft and north-east outdoors brand Montane. It first made its appearance at the press launch of Montane’s Icarus and Phoenix jackets, which use PrimaLoft’s ThermoPlume, a loose-fill blown insulation that has been designed to mimic the properties of down fillings. Montane has extended its range this season. 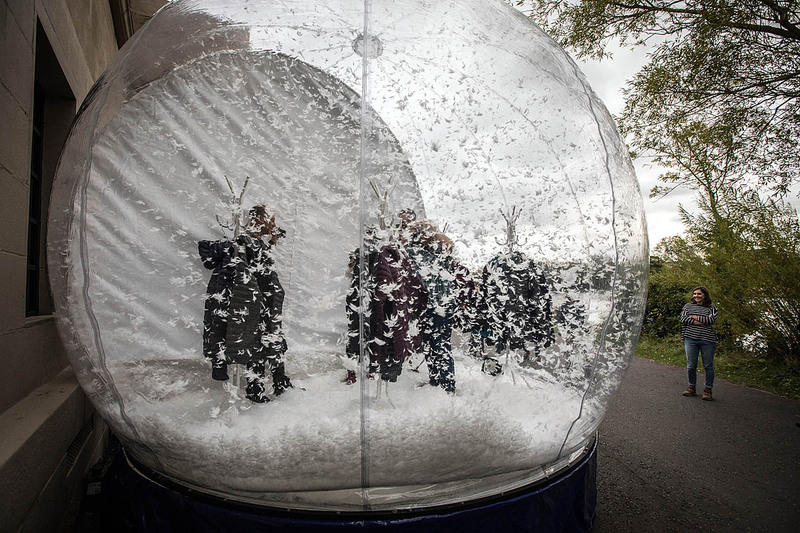 A spokesperson said: “Festival goers will have the opportunity to enter a snowglobe and instead of snow, be showered in PrimaLoft Insulation ThermoPlume, experiencing its fluidity, feel and warmth in a fun and memorable way. Kendal Mountain Festival will run from 15-18 November in the Cumbrian town that was home to renowned guidebook author and artist Alfred Wainwright. Michael Jakob, European marketing manager for PrimaLoft, said: “Our ground-breaking development is a unique blend of water-resistant PrimaLoft fibres in the form of small, silky plumes, which collectively form a loose-fill insulation, replicating the lightweight warmth, softness and compressibility of natural down.